Success is ninety percent about your attitude and ten percent about your talents. Winners always compares their achievements with their own goals, While losers compares their achievements with the failures of other people. 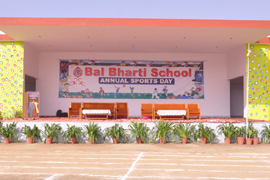 Bal Bharti School, Bahadurgarh, an esteemed institute believes in education as the best means of preparing consciousness for high development by a sublime process of refinement of the senses and by transforming instincts desires and passions to positive energy at an elevated level. We are engaged in imparting not just conventional education but also the values, ethics of expectation of contemporary India. 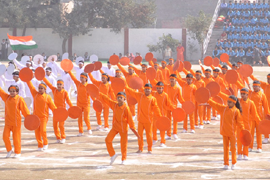 Located on the Delhi - Rohtak National Highway, in close proximity of Delhi. We have faith in nurturing expression and creativity to add collective wisdom, value based education to make enlightened citizens. 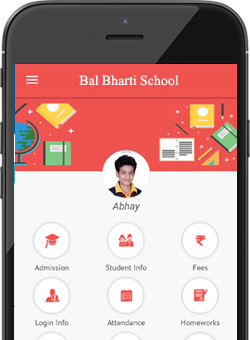 Complete profile of the student. Instant notification of student attendance. Homework given by subject teacher. Instant alerts on any Circular/Notice. Full schedule of school activities. Search books online from anywhere.